Want to teach your children at home or improve their grades at school? LearnWithESA.com provides FREE online Reading, Language & Grammar learning programs for children ages 4 – 12 in grades K – 6. Get literally thousands of fun and engaging activities that help build skills in sight words, phonics, spelling, grammar, reading comprehension, and much more! 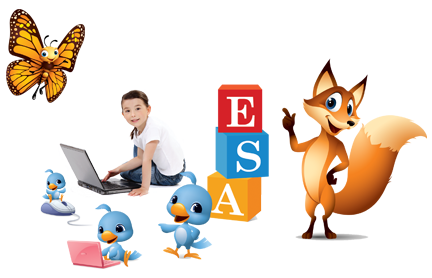 ESA is proven to increase motivation, build confidence, and improve grades. It allows children to learn independently and at their own pace in a distraction-free environment, and caters to visual, auditory, and tactile learning styles. Give your child the advantage! 100% FREE forever! This entry was posted in 300 Social Sciences and tagged auditory, elementary, fifth, first, fourth, free, grammar, k, kids, kindergarten, language, phonics, reading, second, sixth, skills, spelling, tactile, third, visual. Bookmark the permalink.